For the majority of the 18 international students that recently completed a semester studying at UIDE, their exchange was a total success. 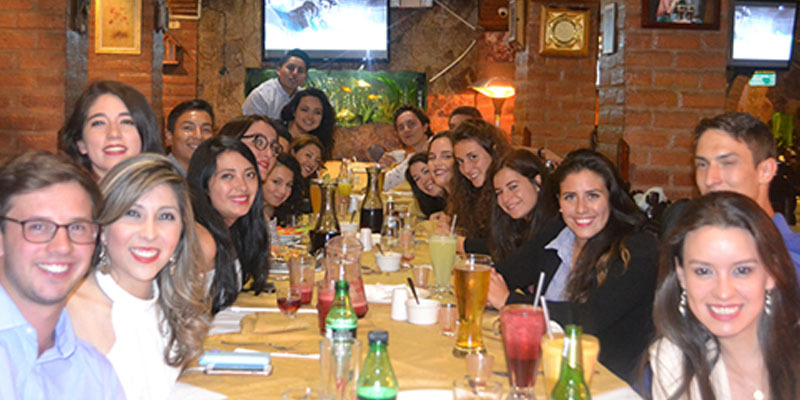 Last March, students came from six different countries—China, France, Germany, Italy, Spain and the Netherlands—and for many, it was their first time in Ecuador and even in Latin America. They took advantage of their time here to travel a lot, including to the Galapagos Islands, the Pacific coast, different national parks and the Amazon. Some trips were organized by the International Student Club and the UIDE Buddies program. Local student involvement with the exchange students has been very important: they helped their classmates with university-related issues, planned get-togethers and trips, accompanied them to the hospital when they inevitably got sick and they saw them off at the airport. We are sure they created lasting relationships. This semester we received 15 new international students, part of UIDE’s cultural and academic exchange program and its effort to integrate internationalization in all its activities. Check out this photo album featuring some of the experiences of last semester’s exchange students.